From start to finish, G & G were professional, friendly and flexible in their work with us. The design process allowed us to not only draw upon their expertise, but to adapt the project as the build evolved. The result was a truly bespoke and carefully crafted outdoor area that will engage and support our children in their learning and play for years to come. Superb service all round! Here at G&G we offer a full landscape garden service from small projects to large projects. 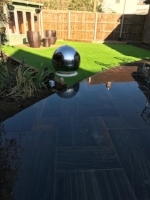 Based in Dartford ,Kent we have a team of qualified staff to undergo your landscaping project from artificial grass installation to a new Indian sandstone patio. 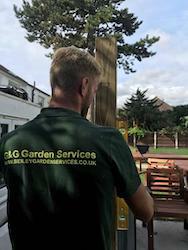 We also install a lot of fencing by our dedicated installation team, we make own fence panels in house to the highest quality to ensure we get the best fencing to you. 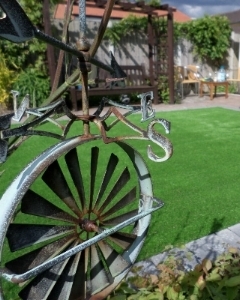 So if you need a garden makeover give us a call on 01322787311.